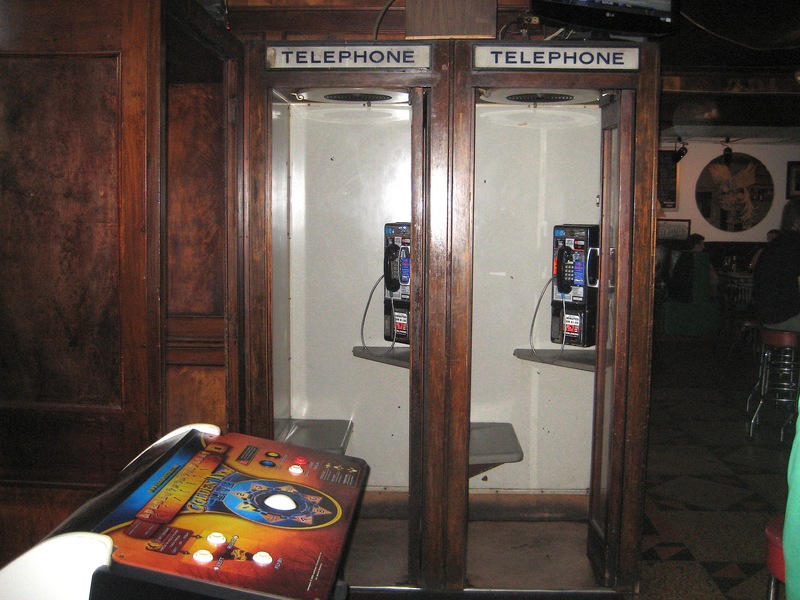 Old, dark neighborhood bars and pubs often harbor a back-room secret: vintage wooden phone booths, the kind that used to exist all over New York. Now, of course, they’re an endangered species. That’s mostly thanks to cell phones, but also the fact that few people seem to think it’s necessary to duck away somewhere to have a private conversation. These two twin old-school booths (with working phones!) 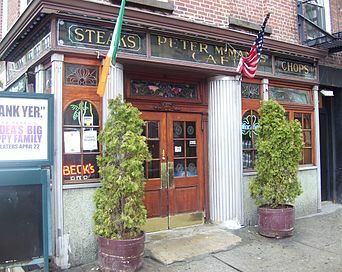 are at the end of the carved Mahogany bar at Peter McManus Cafe at Seventh Avenue and 19th Street, still packing in drinkers after 76 years. More vintage phone booth sightings can be found here.